An M80 assault rifle fires 7.62mm armor-piercing rounds at 2690 fps. 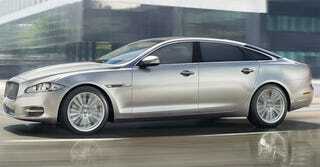 If that worries you, but society calls, the Jaguar XJ Sentinel offers a perfect solution. High-strength steel, Kevlar, and armor-plating up to B7 protection level. Return fire, James!